I had brought a nokia asha 311 before 2 months. After i bought this, i understood that this was not good as i had thought about this earlier. There are so many reasons for that. 1. Low display resolution 2. Low quality of sound and ring tones 3. Very low battery backup. 4. Inability to apply a wallpaper on standby screen. It has games to play. But playing games is not something vry important. Now i am planning to buy a samsung smartphone. Plz don't buy asha311. Frankly speaking, it will waste your hard earned money. I think samsung s5830 is better than this. I hope of buying it.. Gd luck..! 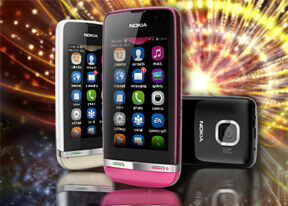 already i have purchased nokia asha 311 but the manual is not in english how could i understand? I have a question. i have had the phone for 5 months but recently got a screen protector. I realized there are 2 holes on the top right. What are they for? One looks like a camera and the other a light, but I am not sure. Anybody know? How do I delete the system games from my Nokia Asha 311? nk, 18 May 2013does it support pdf file plz tell me Yes. It is possible. You can use adobe reader to read pdf file. If you are in india and you have a airtel connection. You can buy the reader from nokia store. It costs RS.35 only Or you can buy it by using your cradit card. I suggest this is a good one. I have used recently it has lots of good features including whatsapp as pre-installed. The corning glass gives even more better experience. Roshadah, 19 May 2013does it surport whatsappYes it supports whatsapp. In fact you will be happy to know its pre-installed.